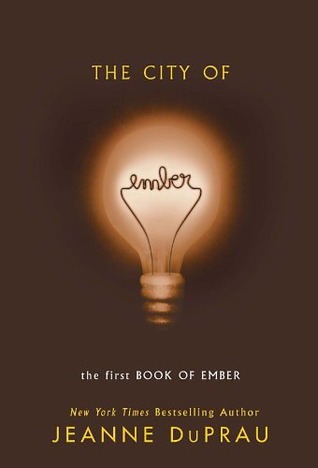 The underground city of Ember was established to protect the people from the coming disaster. The builders knew the city would have to be self-contained for 200 years. When the outside world would be safe again, hopefully. 241 years later, the city faces supply shortages, the instructions on how to find the outside world, lost to time. As the city’s supplies dwindle, and the hydro-electric generator starts to give out, throwing the people into periods of darkness, The fate of the city does not look bright. It’s like Logan’s Run for kids! Lina, Poppy, and Doon, gave me flashbacks of the Baudelaire children. They are likable, smart, brave, and loyal. I liked this story. Everyone having a fear of the dark and sensitivity to bright light makes sense in a world were everyone has lived their whole lives underground. While it does drag on in spots where you are just waiting for the kids to figure out that they need to leave the city. The thing that keeps the reader gripped is: How? How are they going to get out? There are some political goings-on in the city with the elected officials basically just hoping that the city doesn’t fall into ruin while they are in office (not that our elected officials ever do that!) it’s a solid story with a gripping premise.